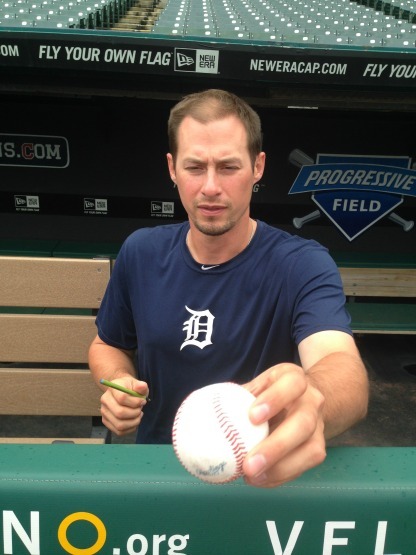 This is a switch, we met Don Kelly while with the Tigers, instead of back when he was with the Whitecaps! 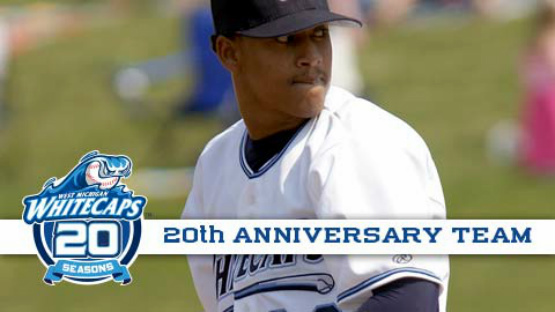 Tonight the West Michigan Whitecaps will add two more players to it’s prestigious Hall of Fame, as alumni Don Kelly and Cameron Maybin return to Grand Rapids for the 22nd annual Whitecaps Community Foundation Winter Baseball Banquet. Maybin is returning to the Tigers organization after being traded to the Marlins in the deal that brought Miguel Cabrera to Detroit. 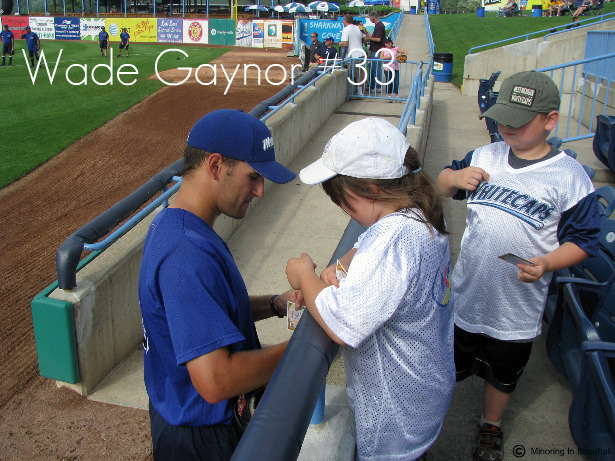 He was a first-round pick of the Tigers in 2005, playing his first full pro season in West Michigan in 2006, hitting .304 with nine home runs, 69 RBI’s, and 27 stolen bases. Maybin also played in the 2006 MLB All-Star Futures Game, and help lead the ‘Caps to the 2006 Midwest League Championship while being named MWL Prospect of the Year. 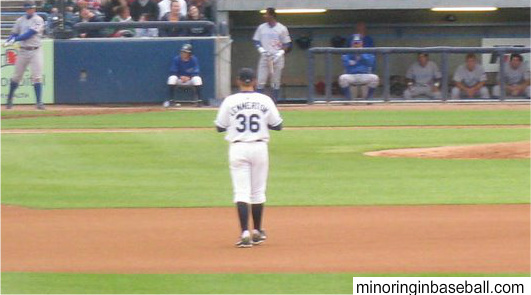 Kelly played for the Whitecaps way back in 2002, and was an 8th round pick of Detroit in 2001. He went on to hit .286 with 59 RBI’s, and was also the starting shortstop in the Midwest League All-Star Game that season. 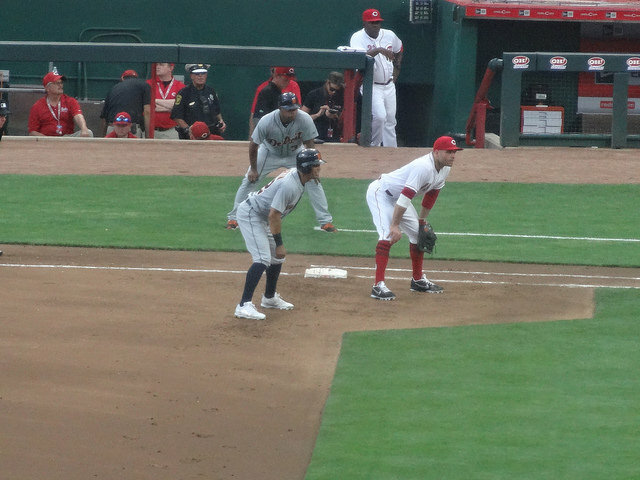 Kelly is mostly known for being a super-utility player, and has seen action at every position on the field, including pitching an inning or two. Other ‘Caps alumni scheduled to be at tonight’s banquet are Wynton Bernard, Nick Castellanos, Jeff Ferrell, Montreal Robinson off of the Tigers’ Caravan. 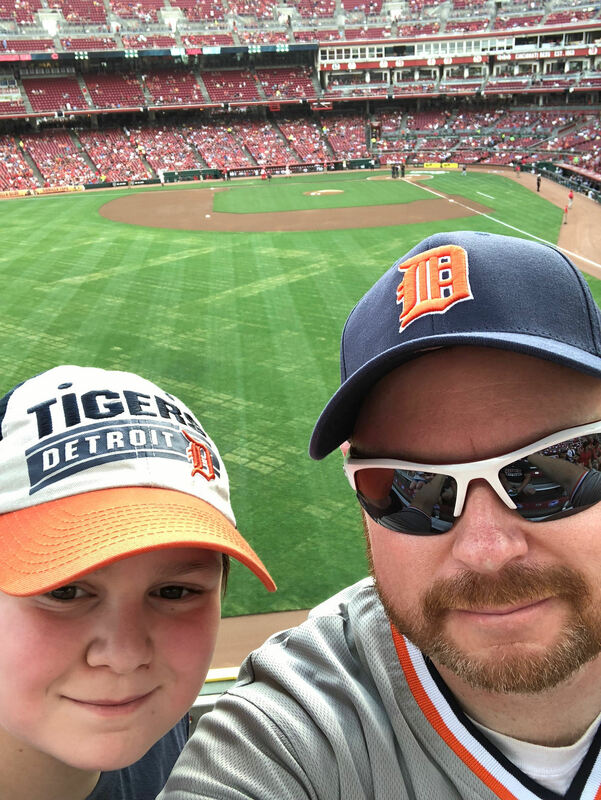 Other Tiger players, coaches, and personnel that will be there include Al Alvila, Alan Trammell, Matt Boyd, Tyler Collins, Michael Fulmer, Anthony Gose, Shane Greene, Blaine Hardy, Bryan Holaday, Jose Iglasias, Mark Lowe, Drew VerHagen, Alex Wilson, Wally Joyner, and Omar Vizquel. That’s a lot of baseball guys under one roof, and one day when I win the Powerball I’ll be able to get tickets for the kids and I too attend. The Whitecaps Community Foundation does a lot of good in the Grand Rapids area, though, so it’s nice to know the money is being well spent. 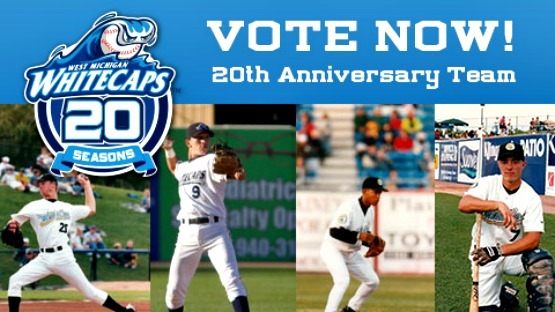 It seems like it was just yesterday that we saw Buck Farmer pitch for the West Michigan Whitecaps. Not exactly, but it was earlier this season that we saw him on the bump at Fifth Third Ballpark. Last night Farmer did become the first to play in West Michigan and Detroit in the same season, helping the Tigers break their four-game losing streak. Farmers’ spot-start wasn’t a spectacular performance, but it was good enough to keep his team in the game, and he pitched a solid five innings giving up four runs. He shut down the Pirates in the first inning, but struggled a bit in the third. Down 4-1, Farmer was bailed out by some other Whitecaps alumni, as Nick Castellanos hit an RBI triple in the first, then broke the tie with a home run in the sixth. Alex Avila also homered in the game to cut into the Pittsburgh lead. Detroit ended up winning the game 8-4, with Farmer not getting the decision. George Runie Farmer, nicknamed Buck, was a 5th round draft pick by Detroit in 2013 out of the Georgia Institute of Technology. This season he started in West Michigan, going 10-5 with a 2.60 ERA and 116 strikeouts. We also saw him in the Mdwest League All-Star Classic in June. He was promoted to the Erie SeaWolves, but only has a 1-0 record there with a 3.00 ERA. After his spot-start in Detroit, they assigned him to the Toledo Mud Hens. Best of luck to him the rest of the season. I’m sure fans will be seeing more of Farmer in a Tigers uniform in the future. 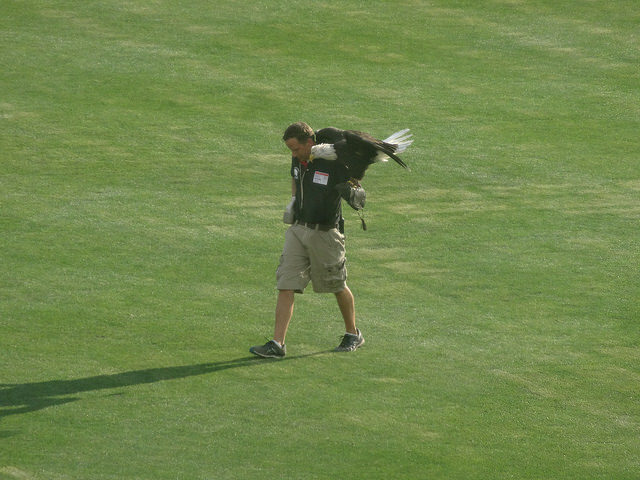 I’ve really enjoyed watching the Detroit Tigers’ pre-season games so far during Spring Training. I especially like seeing the former West Michigan Whitecaps players wearing the ‘D’, and hanging with the big boys in major league camp. Nick Castellanos is hitting the ball very well, and proving so far he’ll fit nicely into the hot corner at Comerica. 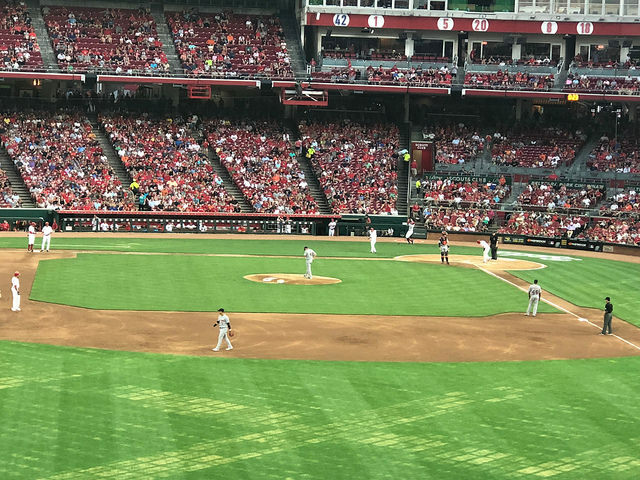 It’s fun to watch Casey Crosby on the mound, trying to get back to that form that made him a top prospect, and the likes of Hernan Perez, Eugenio Suarez, and Devon Travis patrolling the infield. There is always that one player, however, that really stands out, and this season that guy seems to be outfielder Steven Moya. The 22-year-old started out on a tear this spring, going 2-4 with a double, a triple, and four RBI’s against Florida Southern College in the Tigers’ exhibition game. 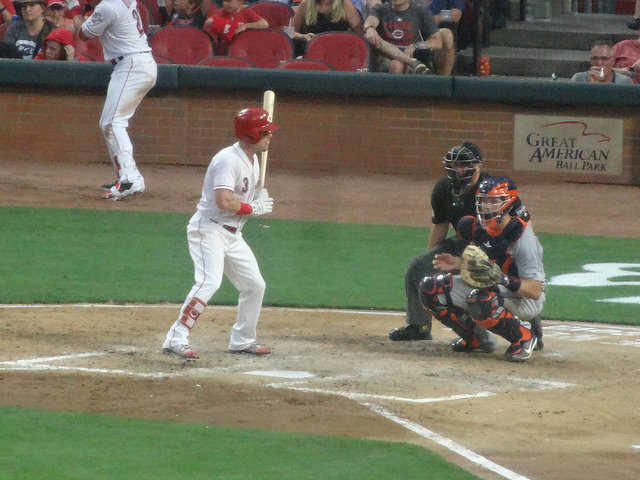 He recently followed that up with another impressive performance against the St. Louis Cardinals, being a home run away from hitting for the cycle, and knocking in another four RBI’s. So far in Grapefruit League play, he’s batting .412, with two doubles, a triple, and five RBI’s (stats against FSC don’t count). Moya was added to the Tigers 40-man roster in December, but despite his play, few think he’ll make the Tigers’ roster out of spring training. Moya played for the Whitecaps during the 2011 and 2012 seasons. In 2011 he struggled a bit, hitting .204, with 10 doubles, and 39 RBI’s. He improved drastically in 2012, hitting .288, with 14 doubles, three triples, nine home runs, and 47 RBI’s in only 59 games before being injured. 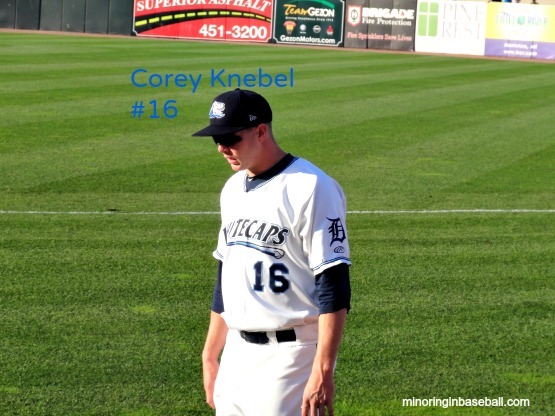 He also played in the 2012 Midwest League All-Star Game, going 1-2 with two runs scored, and three RBI’s on a bases-loaded triple. 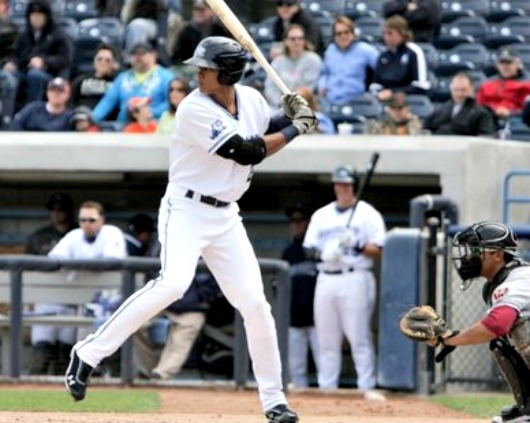 We should have a good chance to see Moya play this season if he stays in the minors, as we’ll be making stops in both Toledo and Erie form some games this June. All the best to him the rest of the spring, and for the 2014 season. UPDATE: Moya has been optioned to Double-A Erie SeaWolves. The Tigers also cut five other players on Friday, bring the number of players in major league camp to 40. Moya’s final big league camp numbers are a .333 average, with five doubles, and one triple in 21 at-bats. Castellanos gets the call: After toiling in the Minors the last few seasons, top Tigers’ prospect Nick Castellanos finally got the call to the big club yesterday. He came into the game to play left field, and went 0-2 at the plate. No worries, though, as none of the Tigers’ bats were working in a 4-0 loss to Cleveland. He was doing fine at the dish in Toledo, however, hitting .276 with 18 home runs and 76 RBI’s for the Triple-A affiliate. 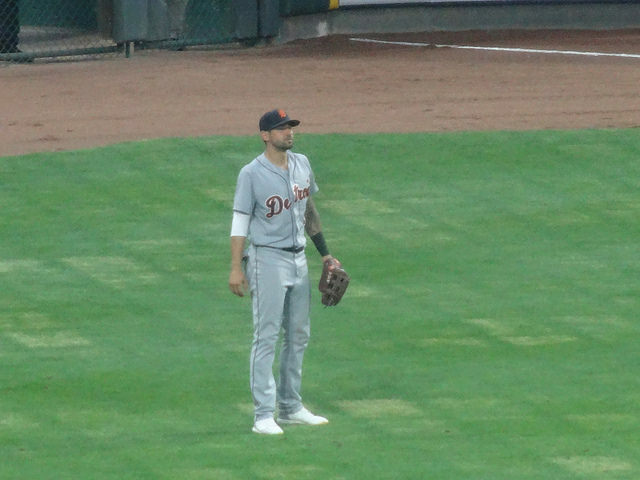 Castellanos was drafted by Detroit as a third-baseman in 2010, but was moved to the outfield in 2012. 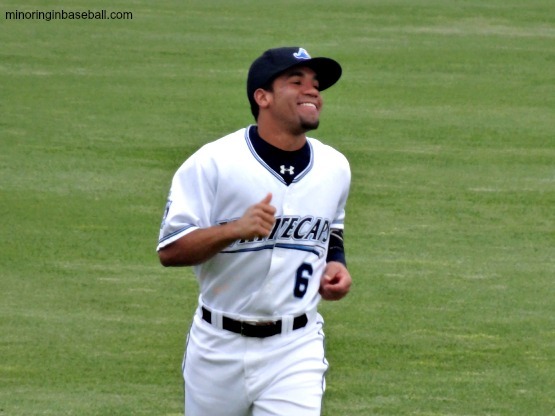 Castellanos played for the West Michigan Whitecaps during the 2011 season, when he was just 19 years-old. He hit .312, with 36 doubles, seven home runs, and 76 RBI’s. Now, at the ripe ol’ age of 21, he’s being brought up to the bigs in the mist of a playoff race. 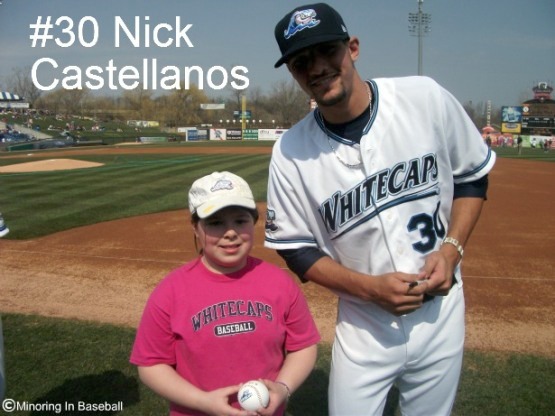 We wish the best of luck to Castellanos, who’s pictured above with Lily. If he makes it big, that baseball he signed for her will be something to treasure! 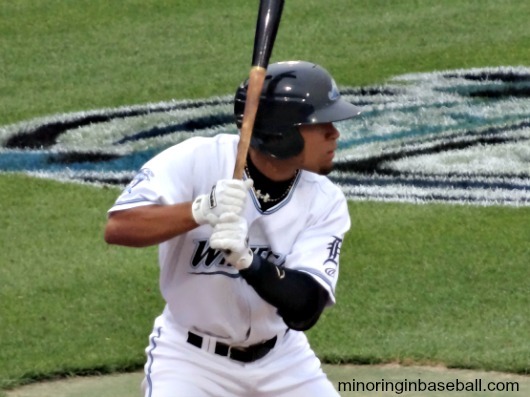 Travis named MWL post-season All-Star: Former Whitecaps’ second baseman Devon Travis, who was call up to the Lakeland Flying Tigers in July, has been named to the Midwest League post-season All-Star team for 2013. Only one player for each position is chosen, so it’s an honor to be picked as that one best player. He’s earned it, too, hitting .352, with 17 doubles, six home runs, 42 RBI’s, and 14 stolen bases, in only 77 games. 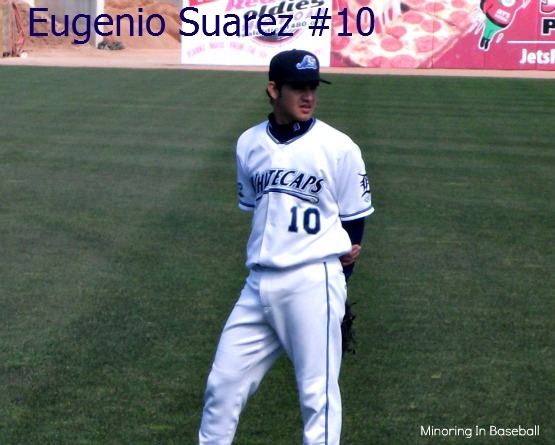 Before being promoted to Class-A Advanced Florida State League, he was leading the MWL with 102 hits, games played, and a .982 fielding percentage. He also participated in the Midwest League All-Star game in June, being named the MVP after hitting a three-run triple while going 2-2. Travis is also the owner of the longest hitting streak in Whitecaps history, by hitting safely in 21 consecutive game from April 21-May 12. I was happy I could watch Travis play before his promotion, and we’ll be following him as he moves up in the system. The only other player from a Michigan based team to be named to the All-Star team was relief pitcher Geoff Brown, with the Great Lakes Loons. The Loons are also the only team to make the playoffs, so we’ll be keeping track of their bid for the championship, also. If they can just hold secure a home game for next weekend….